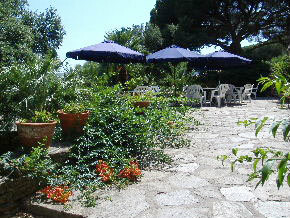 2 star Cote d'Azur Hotel For Sale, Bormes-les-Mimosas, Provence, France.  Floors: 3 floors with balconies.  Garage : Large vaulted garage with 2 side rooms.  Garage or parking area: Underground garage and car park for guests.  Number of buildings: Comprises of 3 separate buildings.  Buildings: Hotel, Cottage, Listed laundry room.  Department: Var (Department, France).  Locality: Picturesque seaside "village of flowers".  Plot m2: 3,000. * With plans for swimming pool. A charming 2 star 20 bedroom, 20 bathroom Hillside Mansion / Hotel for sale overlooking Bormes-les-Mimosas and Mediterranean sea on the Cote d'Azur. 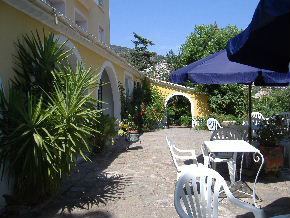 Charming 2 star Hotel for sale on hillside overlooking the coast in Bormes les Mimosas, Provence. 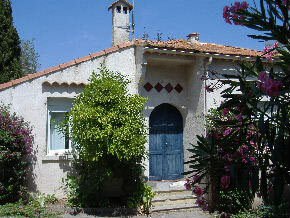 The property occupies 700 square meters on the French Riviera between Hyeres and St. Tropez. 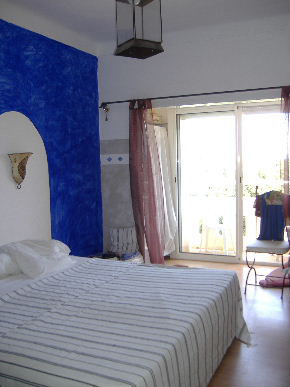 It comprises of 20 bedrooms and 20 bathrooms all decorated by the owners. Most with sea view balconies. The property is set in 3,000 square meter plot with beautiful gardens, flowers, mature trees and terraces with views of the Mediterranean sea and surrounding hills. The hotel has also has large private apartments, a separate cottage, laundry building, car park and large vaulted garage with 2 small rooms on either side. Plans have been made for a large pool. 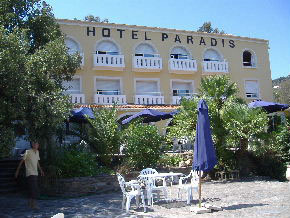 Hotel Paradis is located 5 minutes by car from the old village of Bormes-les-Momosas and 10 mins from the sandy beaches and the port. Situated in a private "domaine du mont des roses" Amenities are very near, supermarket, medical, school from the kinder garden to college. 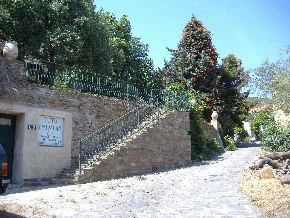 Bormes-les-Mimosas has been given the title of "village of flowers". Location: Bormes-les-Mimosas is a picturesque Mediterranean village that has been given the title of best kept "village of flowers' since 1970. The Hotel Paradis is on the hillside of with fine views over Bormes-les-Mimosas and the Mediterranean Sea of the French Riviera between the beautiful beaches of Hyerse and St Tropez. The property is located minutes from the beautiful beaches of the Côte d'Azur with palm lined promenades, sandy beaches, fine restaurants and harbours. 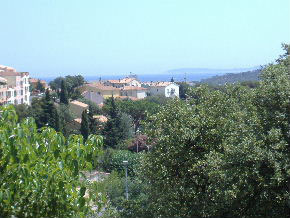 Principle towns in the are Hyères, St. Tropez, Fréjus, Cannes. We are looking forward to showing you the property. Please allow 24 hours notice to make your appointment. Owners are on premises. Please contact David (UK) to set up early appointment by emailing us at: info@internetholidayvillas.com or sending online contact details form. Alternatively contact us on the UK telephone numbers listed below.  Vaulted garage with 2 side rooms.